Pedro was born on October 27, 1943 and lived in Guadalupe, Arizona. He grew up in Picacho Peak in Arizona. After grade school in Picacho he went to work as a farm laborer to help his parents. Pedro was a self taught musician and played both the accordian and guitar. Although listed with the Department of Defense as a caucasion, he was actually a Native American belonging to the Pascua Yaqui Tribe His reservation is located in Tucson Arizona. Pedro was unmarried. His tour in Vietnam began On Februrary 26, 1968. He was a PFC when assigned to the 526th CC&S Co. 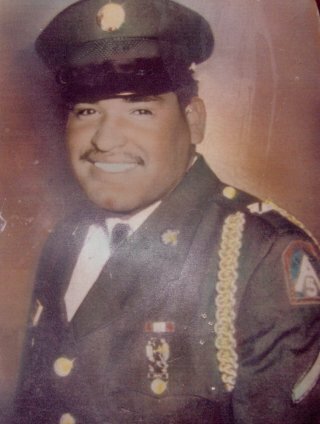 He was killed in action on April 9, 1968 when his company was attacked by enemy sappers. He was in-country 43 days when he was killed. He was 24.